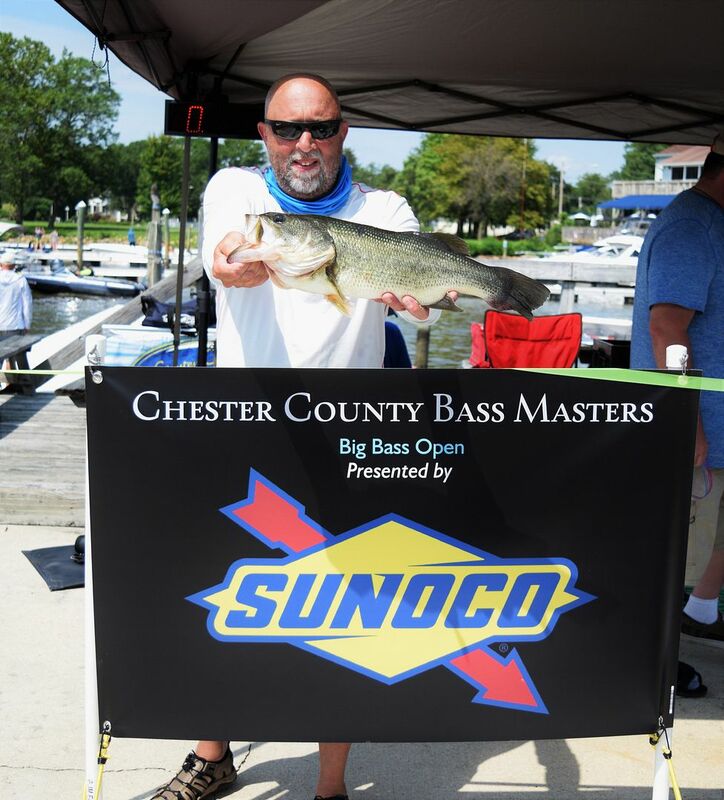 Chester County Bass Masters held their Inaugural Bi - Hourly Big Bass tournament on August 19th out of Anchor Marine in Northeast Maryland. 14 Teams showed up to fish a unique style tournament where every team could weigh 1 fish each two hour interval. Weigh in periods were 6 to 8, 8 to 10, 10 to 12 and 12 to 2:30. Air temps at launch were around 70 and humid with very light winds. 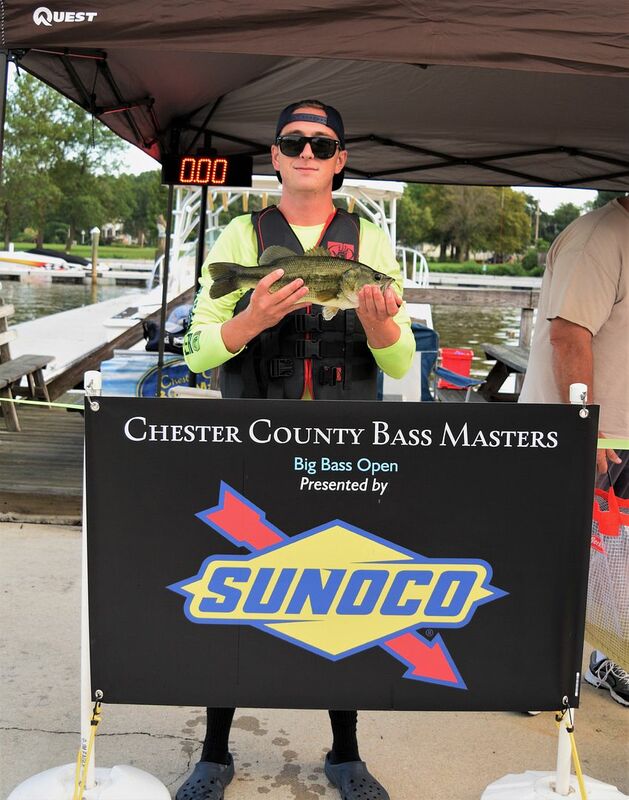 The tournament launched at 6:00 under partial cloud cover with a forecast high of 85. 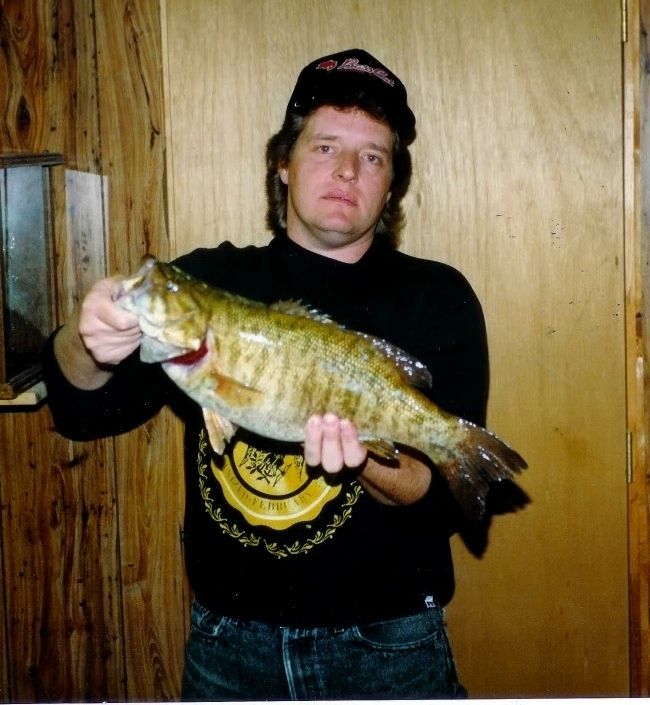 Water temps were in the 82 to 85 degree range depending on where you fished. Water in the Northeast was muddy after 2 inches of rain fell on the area Friday with a little better water out on the Flats and Susky. Launch was on a rising tide with a high tide around 9:00. 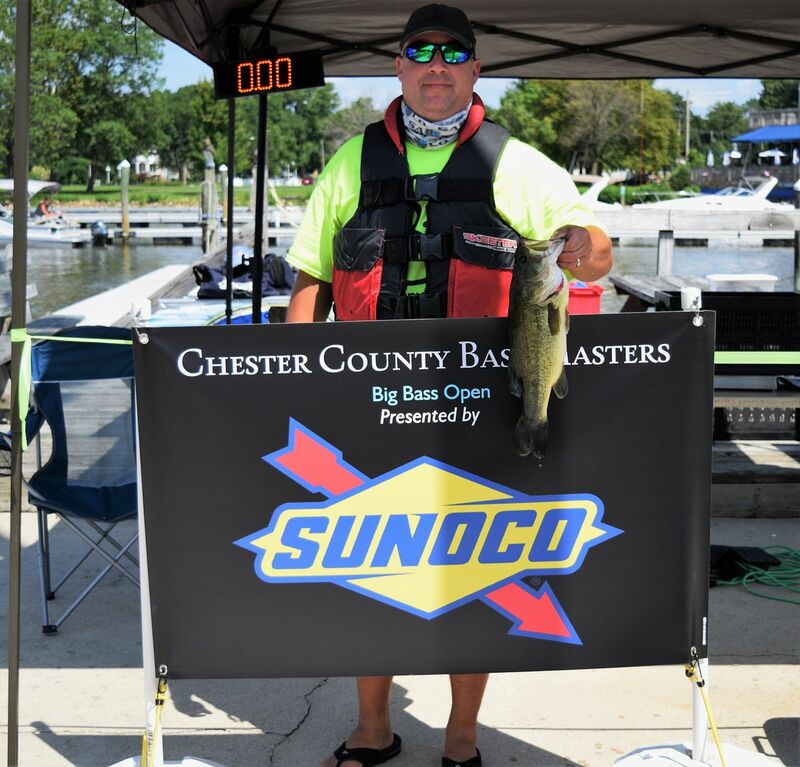 The Flats were busy as a few other tournaments were launched on various ramps thru out the bay and as usual this time of the year per August fishing the largemouth can be elusive. All bass were released alive and healthy. Thanks to Sunoco Fuels for awarding over $ 500 in gas cards to our second place finishers in each period. 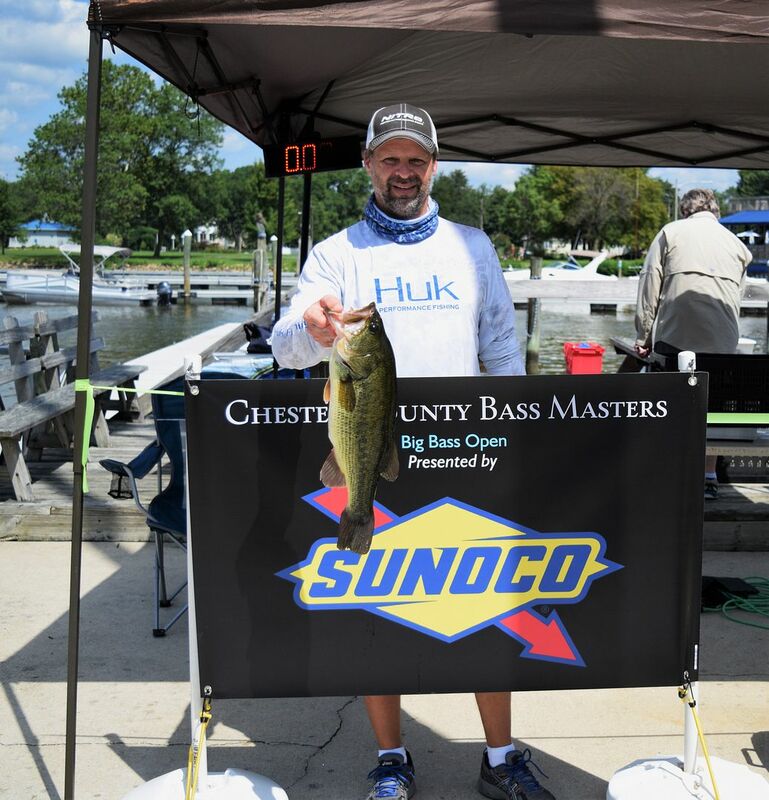 The next regular Chester County open of 2017 will be on Saturday, September 16th out of Anchor Marine. Period 1 weigh in started at launch around 6 am and would last until 8 am. 4 teams would eventually weigh fish with each coming in to weigh fish between 7:15 and 7:50. 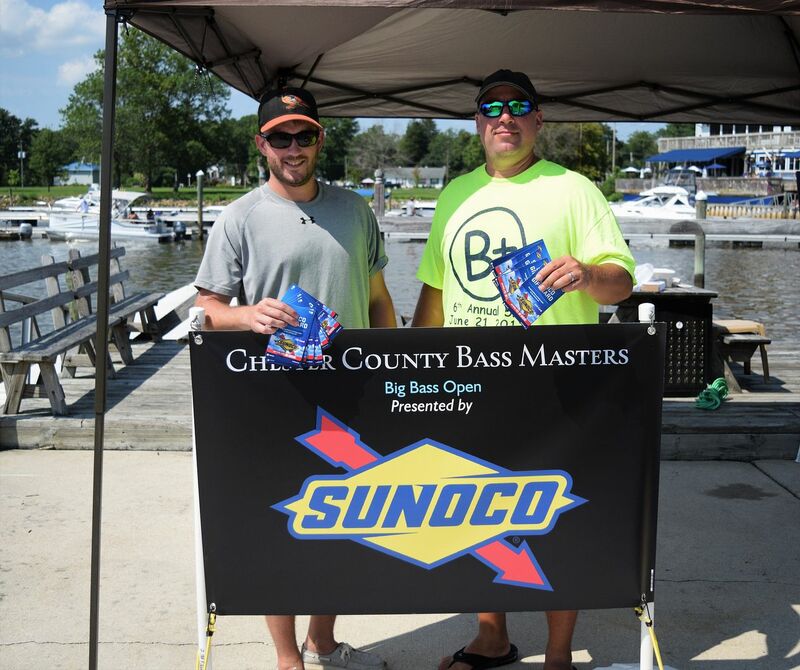 Taking 3rd place and a Hi Seas fishing line package was JR Shoener and Dave Wilt with a 2.16 Lb largemouth. 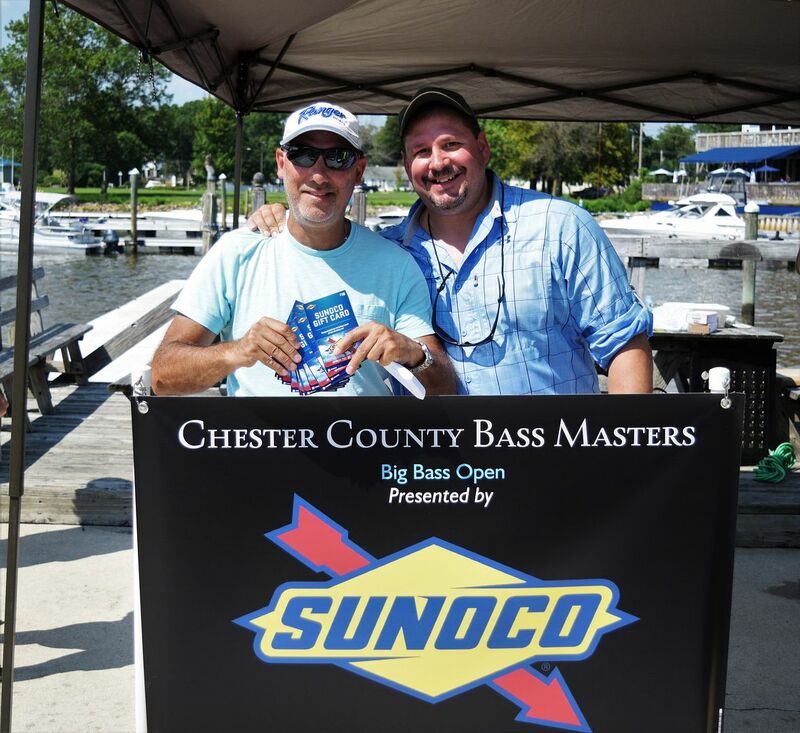 2nd place and $ 130.00 in Sunoco gas cards went to the team of Paul and Stephan Sirochman with a 2.64 Lb bass. 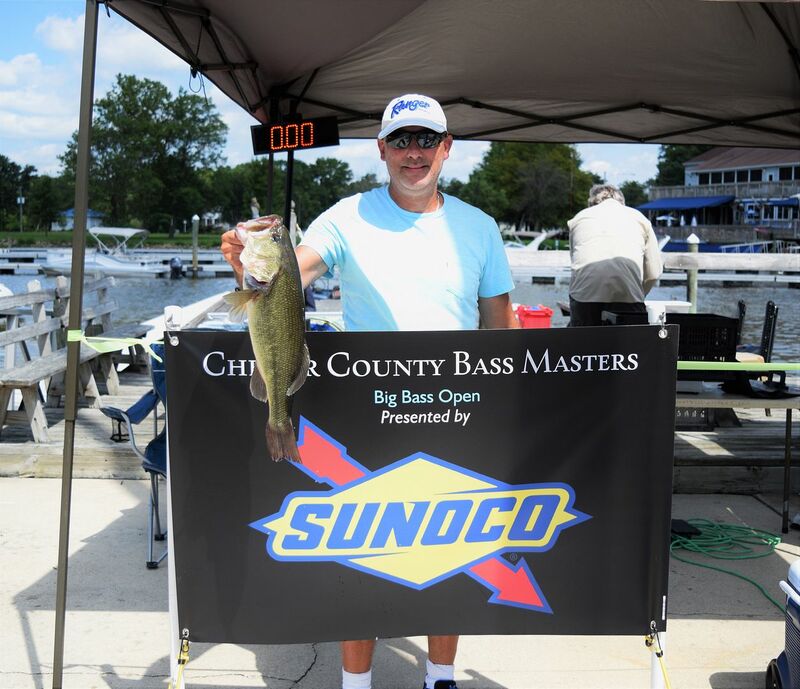 1st place cash went to the team of Sam Rineer and Rich von Nordeck who weighed in a 3.52 pounder. Period 2 weigh in started at 8 and ran until 10. Only 2 teams would venture back to the scales this period. 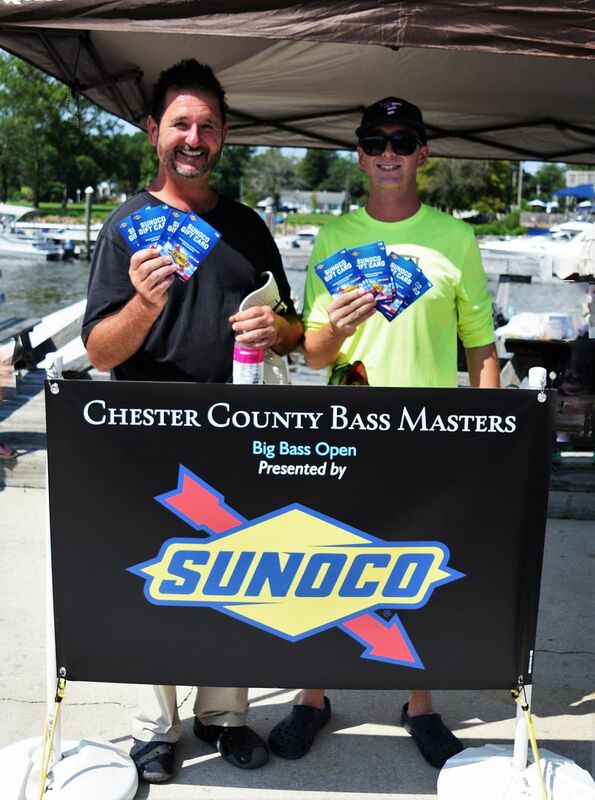 2nd place $ 130 Sunoco gas cards went to Dan Raftovich and Jim Boulden with a 3.89 Lb largemouth. 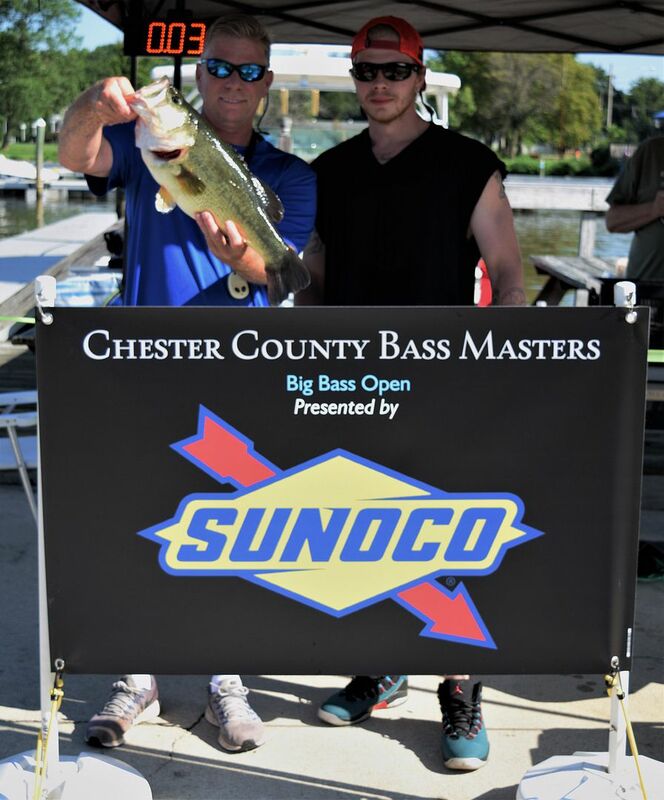 1st place cash went to Team Murphy, Steve and Austen who brought in a healthy 6.03 bass to also take the big fish for the day. Period 3 weigh in started at 10 and ran until Noon. 5 teams would come in at various times to weigh their fish. 3rd place Hi Seas line pack went to Chet Berkey and Chris Patton who brought in a 3.40 big fish. 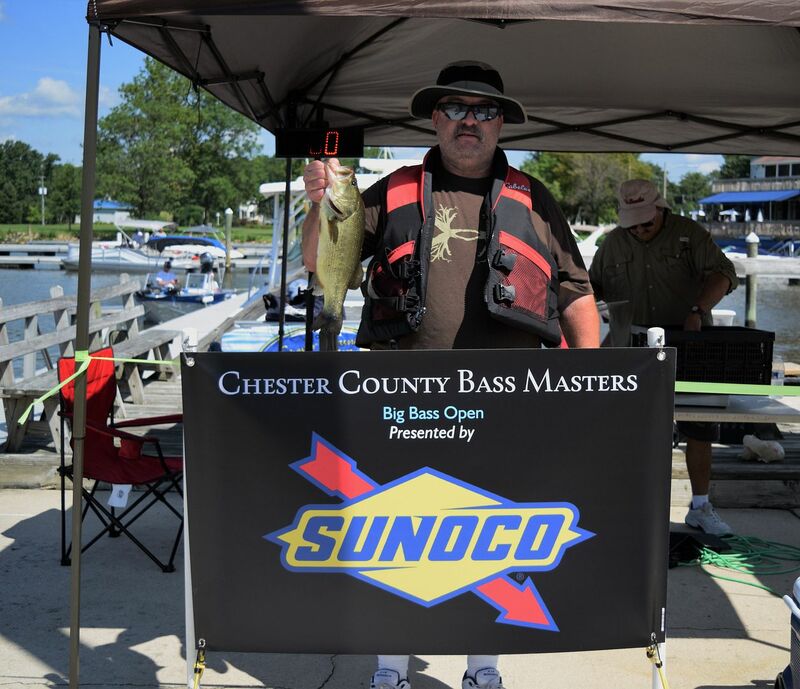 2nd place and the $ 130 in Sunoco gas cards were awarded to Lou Croce and Jim Pitcherello for weighing a 4.43 largemouth. 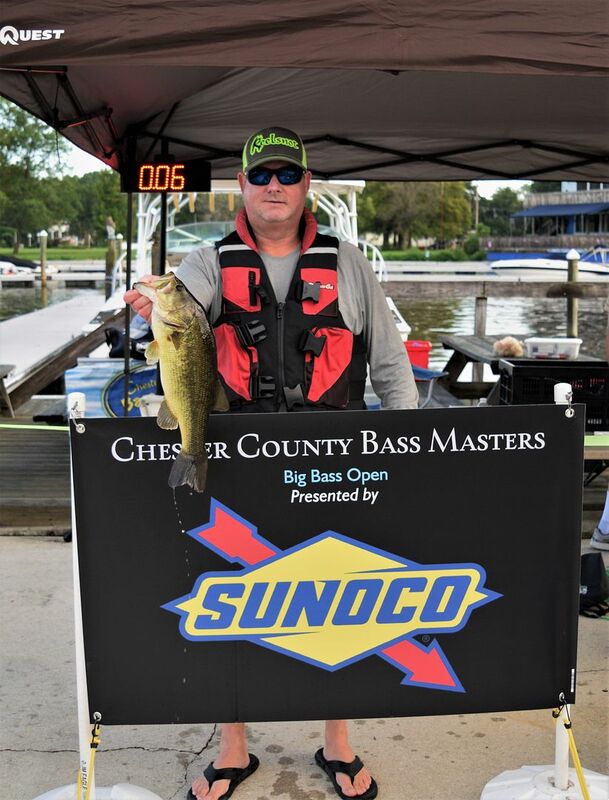 1st place money went to Steve Jagodzinski fishing solo who brought in the 2nd biggest fish of the day a nice 5.16 bass. Period 4 weigh in ran from Noon until check in time at 2:30. 7 teams would weigh in this final period. Third place Hi Seas line went to Jimmy and Richard Hayden with a 4.54 big fish. 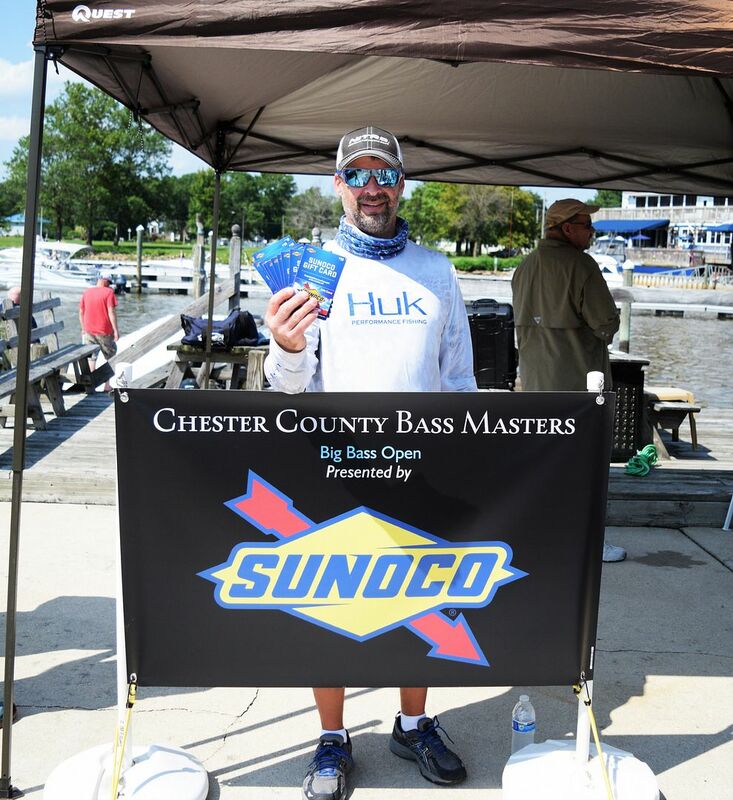 2nd place and the $ 130 in Sunoco gas cards would go to Steve Jagodzinski who weighed in a 4.87 fish almost matching his 3rd period bass. 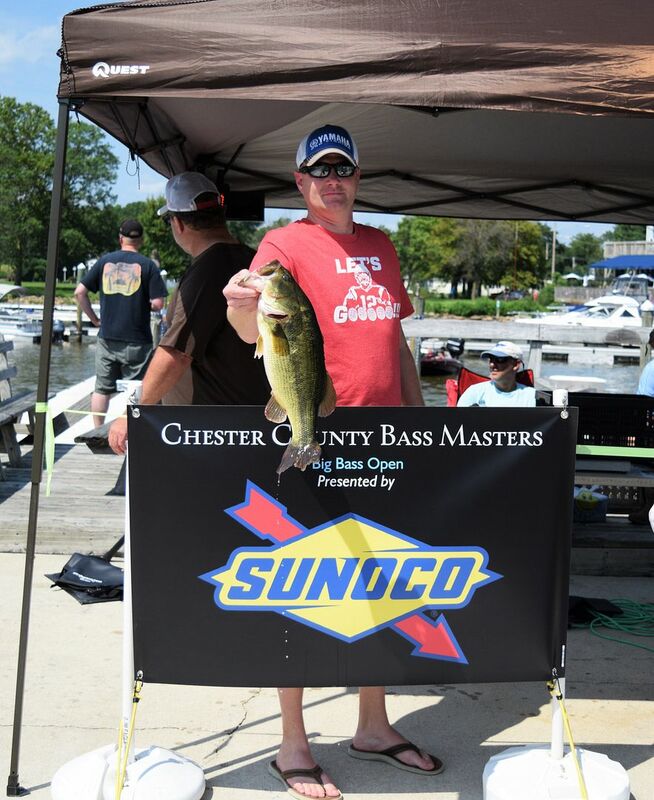 1st place cash was won by Ron Lutz and John Detwiler, winning by only 0.04 of a lb with a 4.91 largemouth. Rineer - Von Nordeck - 3.52 Lb. Sirochman - Sirochman - 2.64 Lb. Shoener - Wilt - 2.16 Lb. Weimar - Marshall - 1.66 Lb. Murphy - Murphy - 6.03 Lb. Raftovich - Boulden - 3.89 Lb. 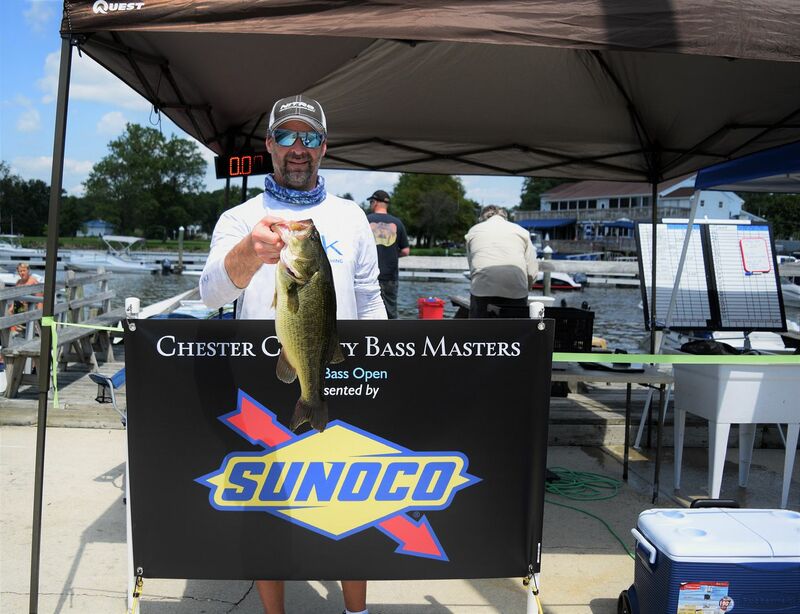 Steve Jagodzinski - 5.16 Lb. Croce - Pitcherello - 4.43 Lb. Berkey - Patton - 3.40 Lb. Raftovich - Boulden - 3.11 Lb. Hayden - Hayden - 3.00 Lb. 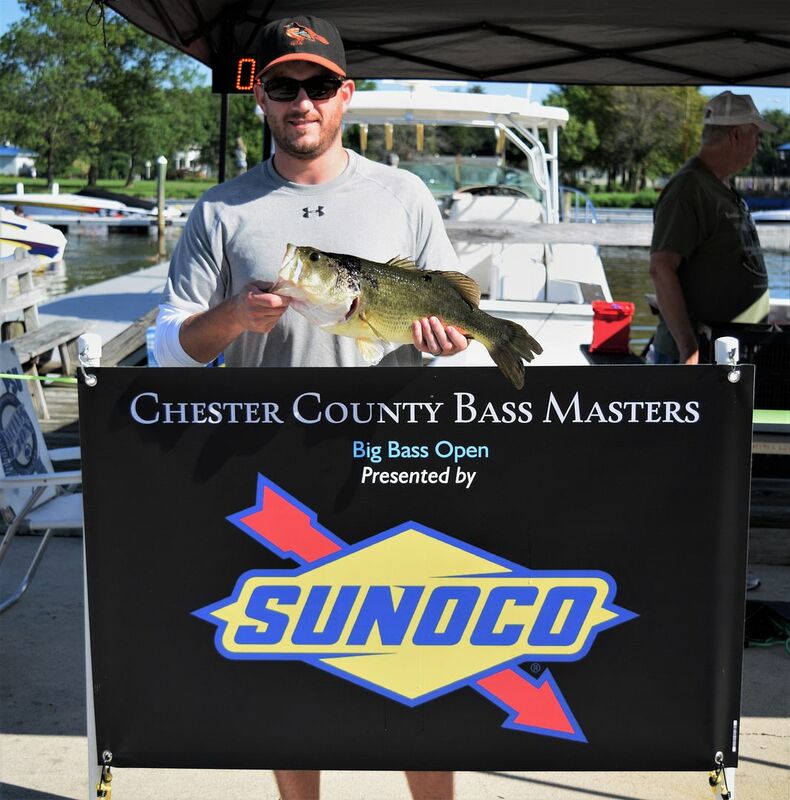 Lutz - Detwiler - 4.91 Lb. Hayden - Hayden - 4.54 Lb. Murphy - Murphy - 4.51 Lb. Reams - Murphy - 3.79 Lb.